With Breaking Bad not coming back until mid-2013, fans have been forced to subsist on the tiniest morsels of gossip from the set and pictures of some cupcakes Aaron Paul got from AMC. Today Wired is feeding the beast with an article about a Walter White lookalike contest in Albuquerque judged by White himself, Bryan Cranston. 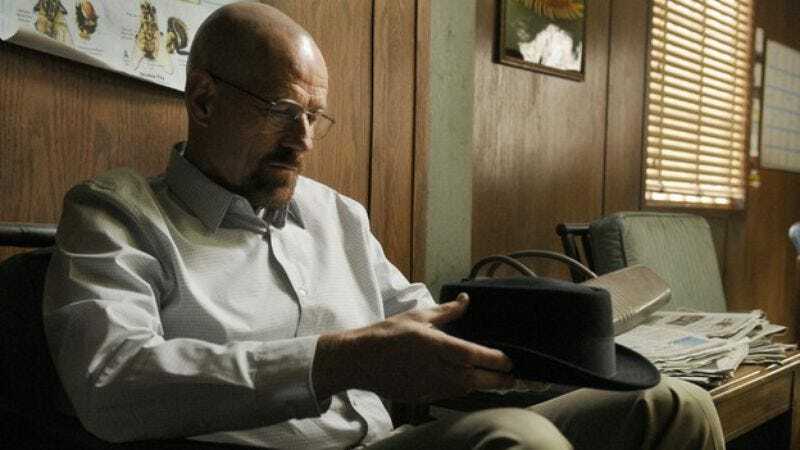 The star was in Albuquerque to start filming the last eight episodes of the series, but told the crowd at the event that even he doesn’t know how creator Vince Gilligan plans to end things. Dozens of yellow jumpsuit and tighty whitey-clad hopefuls showed up for the event hosted by Steven Michael Quezada, who plays DEA Agent Steven Gomez on the show. Interested and judgmental parties can browse Wired’s slideshow of photos of some of the entrants and the happenings from behind the scenes. The winners, Joe Griffenberg and Michael Chandross, no doubt earned Cranston’s endorsement because of their steely stares, perfectly shaved heads, and commitment to producing pure, high-grade methamphetamine.